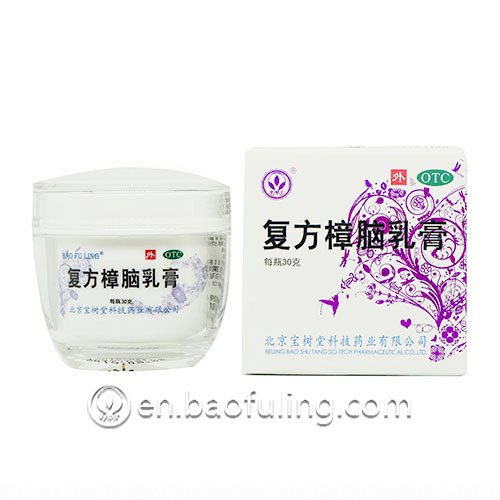 The Beijing Baoshutang Bao Fu Ling Cream stimulates the nerve endings to relieve symptoms of pain and itching when applied to the skin. 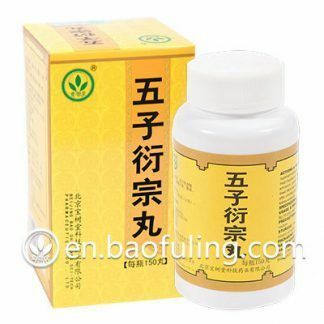 It’s also effective against toenails infections caused by fungi. 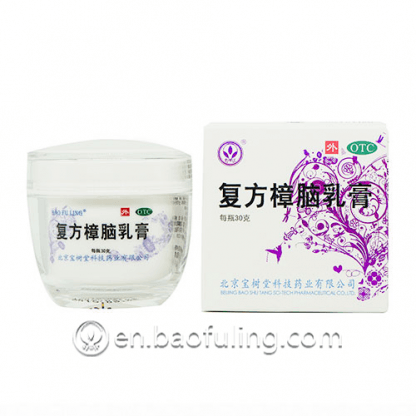 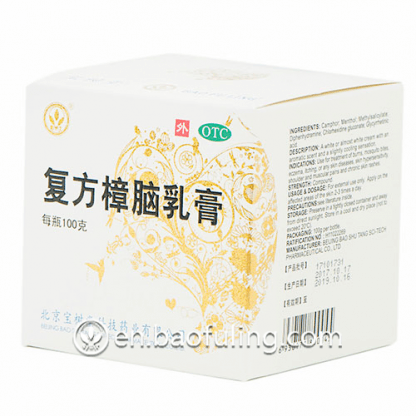 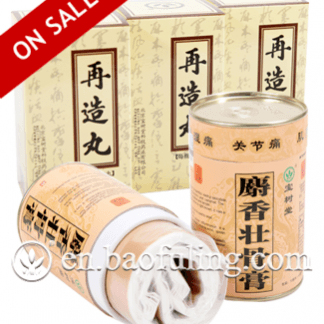 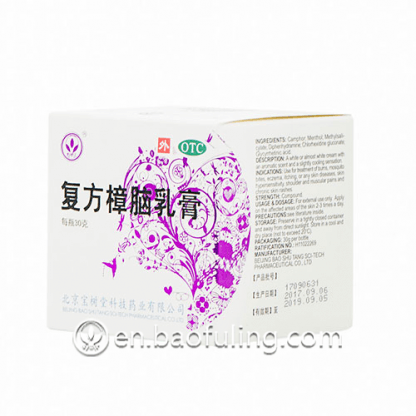 Over the years, millions of customers of Bao Fu Ling from all over the world have endorsed the Baofuling Compound Camphor Cream to treat mosquito-bites, itching, burns, eczema and various skin diseases. Specialists recommend to keep a camphor cream at home to treat accidental burns. 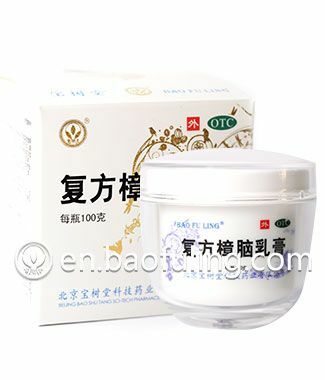 Indication: Baoshutang Bao Fu Ling Cream is recommended for the treatment of burns, eczema, skin hypersensitivity, muscle pain and various skin diseases including itching, red skin and chronic skin rashes. 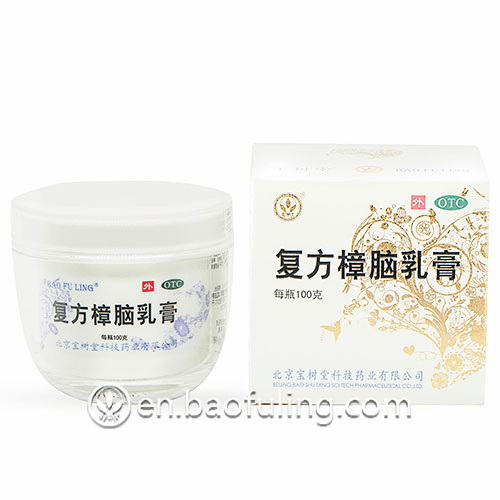 Usage: For external usage only. Apply on the affected area of the skin 2-3 times a day. 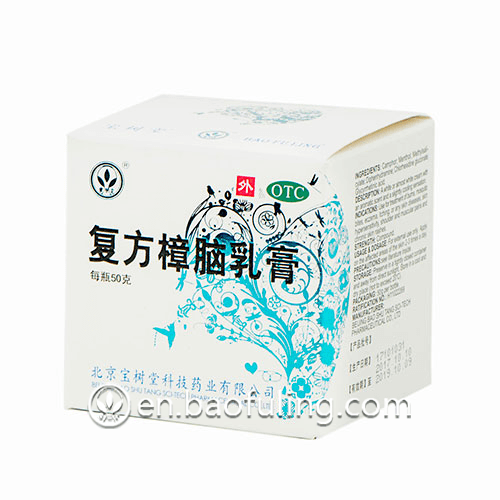 Main Ingredients: D-camphor, L-menthol, methyl salicylate, diphenhydramine, chlorhexidine gluconate, glycyrrhetinic acid. 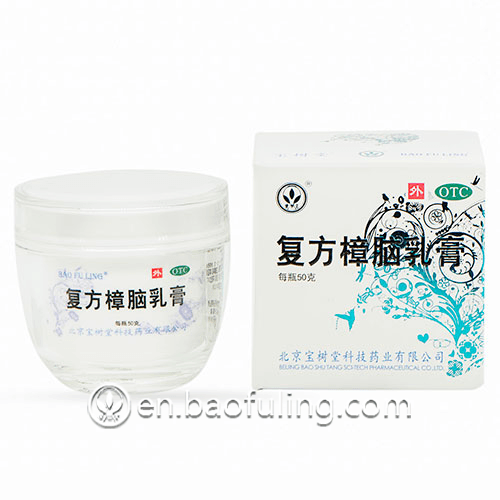 Storage: Preserve in a tightly closed container. Store in a cool and dry place away from direct sunlight.